Claiming no link between the Ukrainian state and a list containing the names of Hungarian-Ukrainian dual citizens equals to lying, Foreign Minister Péter Szijjártó told public Kossuth Radio on Thursday. Szijjártó insisted that the list of some 300 ethnic Hungarian state or municipal officials published by Ukrainian website Myrotvorets contained information which could only be obtained from the government or the secret services. Szijjártó added that a leader of the civil group running the portal used to work for the Ukrainian secret services, while a founder of the group was still a government employee. The foreign minister blamed the Ukrainian state for its “obvious failure to protect its own citizens” and argued that Ukraine had so far done nothing to resolve the matter. Ukraine has launched a “state-assisted hate campaign against the Hungarian community”, Szijjártó said, adding that Ukrainian President Petro Poroshenko had “probably granted approval to that campaign to increase his popularity”. 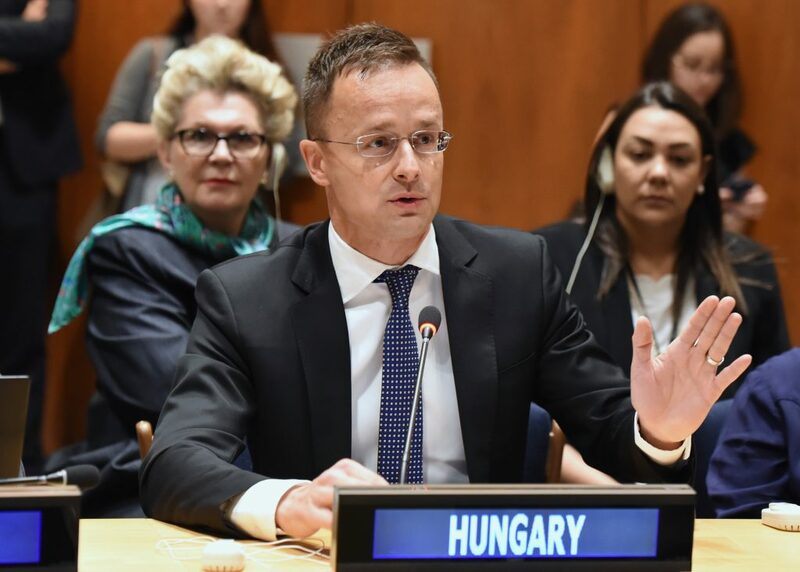 On Wednesday, Hungary’s foreign ministry summoned Ukraine’s ambassador to Budapest over the existence of the “death list” of Transcarpathian Hungarians in Ukraine.